Defined as an entire set of strategies and techniques used primarily for the generation of more visitors from different internet search engines optimization to marketing or business websites, the main focus of search engine marketing strategy is to increase the visibility of the business and web pages and reach the targeted customers. As more and more customers use internet both for business and pleasure, it has become vital for businesses to mobilize search engine marketing. Search engine marketing strategies include contextual advertising, paid search and organic placement and one of the best mediums to apply these strategies are on Google. This article is my learnings from various sources and interactions with SEO experts. Some more learnings are described in the search engine optimisation explanation here. Although there are many internet search engines online, according to experts Google remains the best option as it is the most popular and default search engine throughout the world regardless of one’s geographical location. Further, it has been confirmed by many studies that 75% of the searchers start their quest on this search engine. It has also been confirmed that several of these search queries end up in sales. Thus, to take the advantage of this search, most of the SEO techniques are specifically designed to utilize Google algorithms, rather than any other search engine. The main focus of search engine marketing strategy is to increase the visibility of a particular website or webpage, increase web traffic, increase visitors, and convert sales of the products and services. According to studies, the first five results that are available on the first page after searching with relevant keywords get more than 67% of the total clicks. For achieving the ranking in top five, it is necessary to use different types of search engine marketing strategy over a period of time and get the best value. While using different search engine marketing strategies you should remember that with time, Google continues to change its algorithms for search engine rankings and its web crawlers occasionally, the Panda update is a case in the point. Hence SEO marketers require synchronizing their techniques used for link building as part of the search engine marketing strategy. For example, in the past, most people used guest blogging as part of their link-building tool. However, recently, Google changed its policy regarding the use of this tool and considers it as Black Hat technique. Thus, to do it the right way, you need to keep abreast of new policy changes and modify your strategy accordingly. Change remains the only constant, and nowhere is it truer than in the field of search engine marketing strategy. A strategy that is White Hat today may change to Black Hat tomorrow and it would be due to the fact that the Google may change the algorithm and penalize the techniques used for SEO optimization it deems to be unethical. The best way to operate in such a situation is to get updated about the rules and regulation regularly and proceed with caution at every step. When you are using different types of search engine marketing strategy, your main focus should be on using the correct set of keywords in your text which corresponds to the keywords generally typed by your target customers. Also, the keywords should seamlessly blend with the essence of the message in your website text. Fresh and novel ideas eventually will bring more target customers to your website. That, in turn, would increase your web traffic, and that would increase the popularity of your website with Google. So, your key function should be to increase the engagement with the target customers with optimized keywords and content. The best way is to use a good starting marketing checklist to start your SEO strategy. 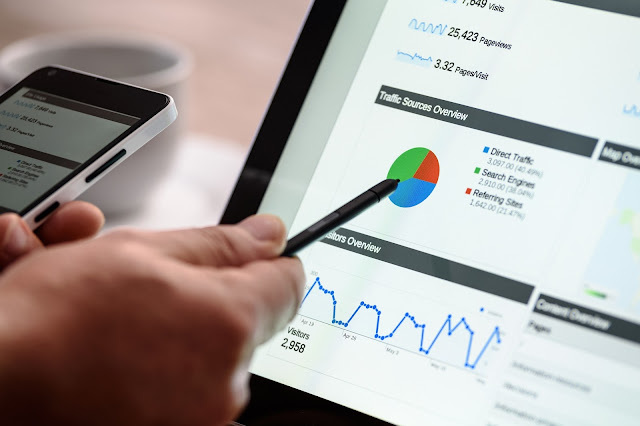 With the rising use of internet both for purchasing goods and services online, the importance of search engine marketing strategy continues to increase at a fast rate. As the online space gets fiercely competitive with countless businesses trying to get to the top of the search results, it’s never been more significant to optimize your website for remaining on the first page of a search engine, especially Google. Search engine marketing is the most effective way to promote your products and grow your business. However, like software and IT, the essentials of this strategy also continue to change due to change in technology, the perception of people and updated policies of search engine behemoths.